(CBS/AP) As conditions worsen at four nuclear reactors in Japan, many here and abroad are worried about the health risks of radiation. There are two main fears: first the release of radioactive iodine which can cause thyroid cancer. Some has already been released into the atmosphere, but Japanese health officials hope to stay ahead of it. The government plans to distribute potassium iodide pills that can keep radioactive iodine from being taken up by the thyroid gland and causing cancer. "Those are all preventable cancers" if the protective pills are taken right after exposure, said University of New Mexico radiologist Dr. Fred Mettler. The government has also asked about 180,000 people to leave a 19-mile area around the leaking plants at Fukushima on Japan's east coast. Those who remain have been asked to wear face masks and stay indoors. But wind and rain could complicate matters. Officials in Ibaraki, a neighboring prefecture just south of the Fukushima plant which was severely damaged during the 9.0 earthquake which rocked Japan on March 11, said up to 100 times the normal levels of radiation were detected Tuesday. While those figures are worrying if there is prolonged exposure, they are far from fatal. 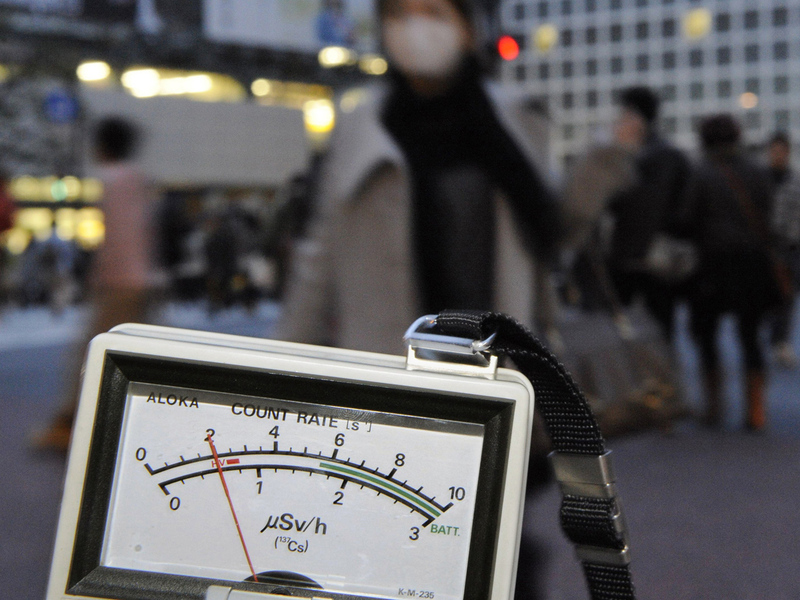 Tokyo reported slightly elevated radiation levels, but officials said the increase was too small to threaten the 39 million people in and around the capital, about 170 miles away. So far, the broad radiation danger has been very small, according to Dr. Cham Dallas, University of Georgia professor of public health who studied the 1986 Chernobyl meltdown in Ukraine. "The levels that are in the air at Fukushima have diluted and are not at levels that are going to be dangerous to human health at this time," he tells cbsnews.com. "But that could change very quickly." And if things deteriorate significantly, there is a second threat - the release of cesium, which is what happened at Chernobyl. Cesium is absorbed throughout the body - not just by the thyroid - and stays in organs, tissue and the environment much longer, said Mettler, who led an international group that studied health effects of the Chernobyl disaster. "Prior to Chernobyl, we believed that the cesium would be diluted out, that once the cloud went through and it rained, the cesium would be washed out," said Jacqueline Williams, a radiation biologist and safety expert at the University of Rochester Medical Center in upstate New York. "What we found out was there was an accumulation of cesium in certain types of vegetation, and it accumulated rather than diluted," she said. Animals fed on the vegetation and became contaminated, and meat and milk were affected. Rain and wind can also complicate matters, spreading radioactive particles far beyond the reactors. "You can't be quite so blase about the fallout," Williams said. After Chernobyl, thousands of children developed thyroid cancer from radiation exposure, and scientists are still working to document other possible health problems. But Japan isn't nearly there yet. For one, only a small amount of cesium has been released. Also, unlike Chernobyl, the Fukushima reactors have containment vessels to prevent or minimize release of the more dangerous types of radioactive materials. Health officials hope this crisis will more closely resemble the partial meltdown at the Three Mile Island nuclear power plant in Pennsylvania in 1979. At Three Mile Island, even though a quarter of the reactor core melted, the steel containment structure held. The radiation released was so minuscule that it did not threaten health - the equivalent of a chest X-ray to local residents. "Right now it's worse than Three Mile Island," said Donald Olander, professor emeritus of nuclear engineering at the University of California at Berkeley, but isn't near the Chernobyl situation. As for America, experts say for now we are in the clear. "It is true that radiation emanating from Japan is moving across the Pacific and it's feasible that one could detect those radiation levels in California," says Dallas. "But it's certain that it wouldn't be dangerous."